It is rare for a psychological scientist to be able to present his or her research to the president of the United States. Coreen Farris got that opportunity when she and her colleagues delivered a report to the White House in December as part of the Department of Defense Report to the President on Sexual Assault. A behavioral scientist at RAND Corporation, Farris, along with her colleagues, recently completed the large epidemiological study of military service members to estimate the annual prevalence of sexual assault and sexual harassment of men and women in all service branches. Preliminary results of the study, which drew on data from a sample of nearly 560,000 service members gathered between August and September 2014, indicate that while 4.9% of active-duty servicewomen reported experiencing sexual assault and 26% reported experiencing sexual harassment or gender discrimination in the past year, the overall number of incidents of sexual assault and sexual harassment in the military has decreased since 2012. Full results will be released this spring. In her work at RAND, a nonprofit research and analysis organization based in Santa Monica, California, Farris shares her research with high-level administrators in the Office of the Secretary of Defense as well as congressional committees and lawmakers. “There’s a particular emphasis on informing the policy debate and on timely research helping the government,” said Farris. “It’s nice to see some of that paying off. 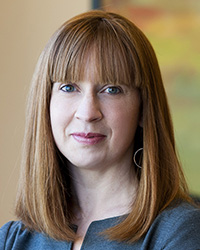 Farris believes that the people who must judge how best to accomplish the goal of decreasing sexual violence, and other goals of similar magnitude and complexity, are genuinely interested in the research that can help them make informed choices. It’s also important, Farris noted, to communicate to others what’s not possible based on research findings. “Very often, the real-world constraints are going to preclude a fancy, shiny RCT [randomized control trial],” she explained. The RAND Corporation, Farris said, places emphasis on structuring interdisciplinary teams that can effectively and efficiently tackle those unsolved problems. Unlike some psychological scientists in other private-sector positions, she said she feels at ease communicating with her colleagues, even though many of them are not psychologists, and enjoys learning new skills as well as bringing a unique perspective to the table. Her teammates come from a diverse range of fields and include economists, public policy analysts, statisticians, anthropologists, and sociologists. Farris acknowledges that psychologists in the academic world often simply don’t have enough time to conduct research and promote it outside their fields, and says one of the things she likes most about her position is her flexibility to do both.